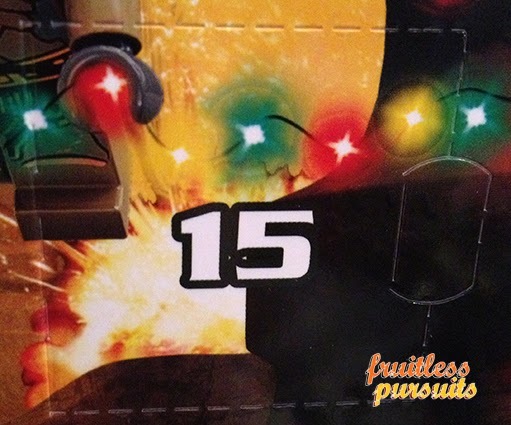 Fruitless Pursuits: Lego Star Wars Advent Calendar 2013 Day 15: Geodude. I knew it! 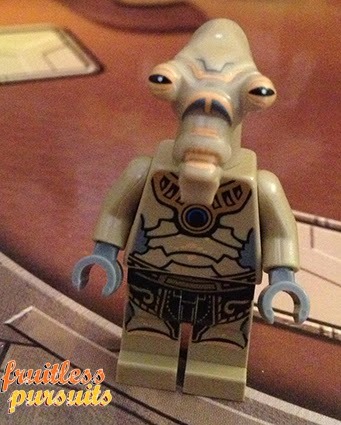 It's that Geonosian warrior that was taunting us from the door a couple of days ago! 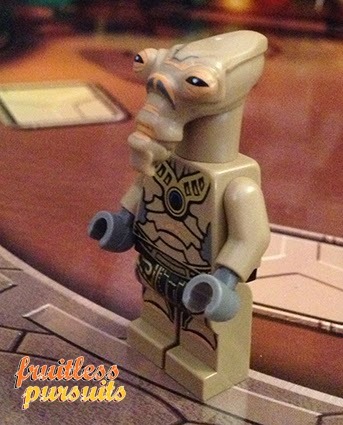 He's another troop builder, and perhaps not your favourite character from the vast Star Wars saga, but I think he's probably the most unique and interesting minifigure we've received so far. I've always loved the weirder alien designs (as a kid, I had no idea who Han Solo was but knew who Hammerhead and Snaggletooth were) so I am personally pretty pleased to receive these guy. He's super simple. He has zero accessories, and he's not even one of the flying ones, but I do still dig his hideous horse-like face. Sure, your kids still don't have any famous hero characters to pit him against, but I guess that they could still play-act the depressing conversation he has with a clone trooper about hanging out in a hive mind and looking the exact same as everybody you know. Fantastic! And for those keeping score, each day I pit this calendar against the Jurassic Park Playmobil one. Today I definitely have to award the point to Lego. And that rockets them to the lead! Which seems crazy considering that the other calendar, overall, is clearly miles better!